Give me applications like 3dsmax and I can tell you with my eyes closed what to do, but I am quite the android newb, so apologies for anything I might say that doesnt make sense. 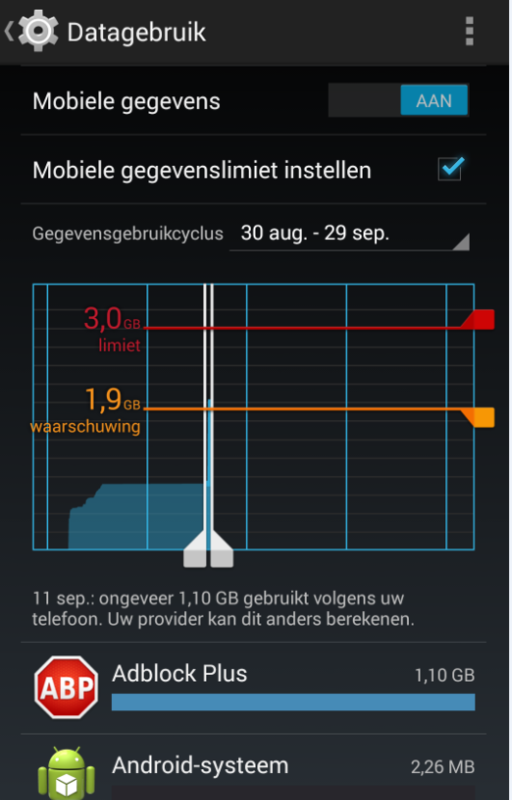 About half an hour ago I get a text message from my provider mentioning im way past half my data limit for the month. 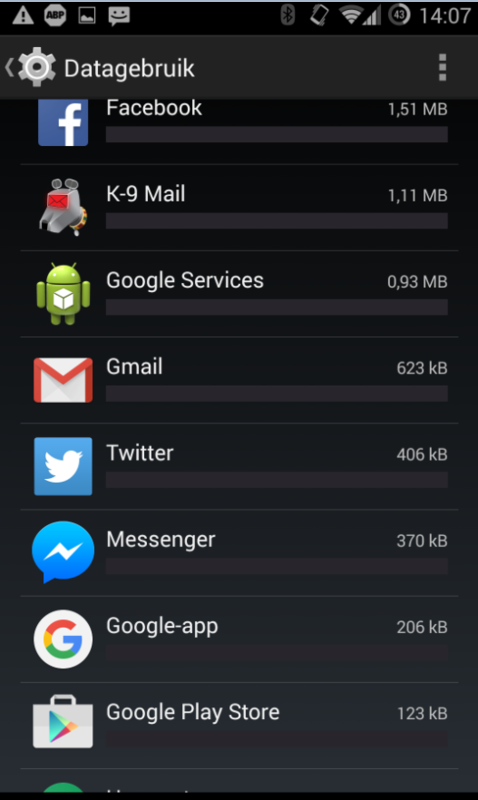 I checked my data usage for the month, and it shows me a big spike occuring today, the only application in the list that took up all the data was Adblock Plus. And the only culprit I see is Adblock Plus, so I am guessing it was doing something very oddly in the short time I was outside. Which is rather odd since I did activate the "Refresh only trough wifi" option. 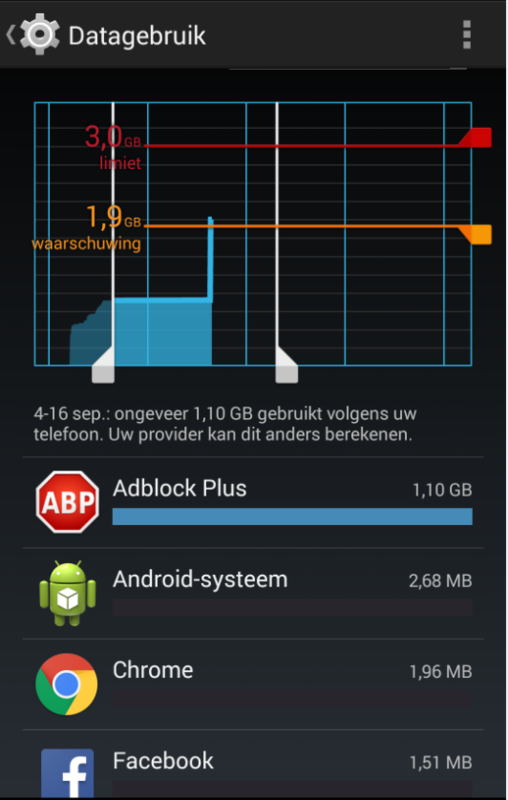 But one can clearly see adblock took a whopping 1.10 GB out of my monthly limit. I did call my provider to see if there is any way to get more specific data on what the spike caused, but "We are not allowed to store such data" was the reply. If there is anything else I can provide to help dev's or others spot the issue with the spike/adblock plus I am happy to help.